The Poetry of US edited by J. Patrick Lewis is a compilation of poetry representing a number of aspects of our country. 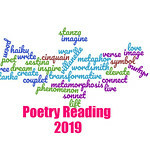 Broken down by region, the poems speak to New England, the Mid-Atlantic, Southeast, Midwest, Great Plains, Rocky Mountains, Pacific Coast, and the U.S. Territories. Former U.S. Children’s Poet Laureate J Patrick Lewis chose more than 200 poems for the collection to demonstrate the diversity not only of our country, but the poets themselves. The color photos from the National Geographic archives are gorgeous and full bleed in most cases, ensuring this collection packs a visual punch as well. Reading the poems in the New England section was like coming home, particularly when reading David Elliott’s “Boston Baked Beans: A Recipe,” which includes some wonderful unique speech that Boston is known for, even if not everyone speaks dropping their r’s. This collection also includes some of my very favorite poems from Langston Hughes, Carl Sandburg, and other classic poets, but there are also contemporary poets throughout, including Ted Kooser, Jane Yolen, Lewis himself, Naomi Shihab Nye, and more. The Poetry of US edited by J. Patrick Lewis is a wonderful introduction to our country for younger readers, providing them with just a sprinkling of our geographic diversity and a heap of cultural diversity. From the immigrants who come to our shores seeking a home to those who have lived here since the country was born, these poems and images seek to remind us of who we hope to be — a melting pot of diversity. Heartwarming photos of children being embraced in the nation’s capital, sweeping photos of Niagara Falls and mountains of majesty, the collection brings home the unity we can find together if we put our hearts and minds to it. Former Children’s Poet Laureate J. Patrick Lewis grew up in Gary, Indiana and earned a BA at Saint Joseph’s College, an MA at Indiana University, and a PhD in economics at the Ohio State University. Lewis taught in the department of Business, Accounting and Economics at Otterbein College in Westerville, Ohio, until 1998 when he became a full-time writer. Lewis is the author of more than fifty books of poetry for children, which find their shape in both free and formal verse and engage a wide range of subjects from history to mathematics, Russian folklore to the animal kingdom. His books for children include Spot the Plot: A Riddle Book of Book Riddles (2009, illustrated by Lynn Munsinger); New York Times Best Illustrated Book The Last Resort (2002, illustrated by Roberto Innocenti and translated into more than a dozen languages); The Shoe Tree of Chagrin (2001, illustrated by Chris Sheban), which won the Society of Children’s Book Writers & Illustrators’ Golden Kite Award; and A Hippopotamusn’t: And Other Animal Poems (1990, illustrated by Victoria Chess). His collaborations with other children’s poets have yielded several collections, including Castles: Old Stone Poems (2006, with Rebecca Dotlich, illustrated by Dan Burr) and Birds on a Wire: A Renga ‘Round the Town (2008, with Paul Janeczko, illustrated by Gary Lippincott).